Know as a very private man, Dublin-born actor Domhnall Gleeson got the surprise of a lifetime when J.J. Abrams called him up to reveal that he had won a highly coveted role in one of the most anticipated sequels in history, Star Wars: Episode VII. Son of actor Brendan Gleeson, Domhnall just started to make a name for himself here in the states with 2013's romantic sci-fi time travel comedy About Time, after having played one of Ron Weasley's siblings in the Harry Potter franchise. This is definitely his biggest role to date. And the actor admits he was shocked to find himself sitting next to Harrison Ford, Mark Hamill and Carrie Fisherm, reading the script for the first time, just 24 hours after learning he was going to be a part of history. Speaking with Ray Darcy on Dublin's 2FM radio show, the actor talked about winning the role and how he's still trying to adjust to this huge change in his private life. "I'm still struggling to come to terms with it. It all happened really quickly for me. It was like the day before and then I'm at a table reading with Harrison Ford, Mark Hamill and Carrie Fisher. It was madness but it was great." 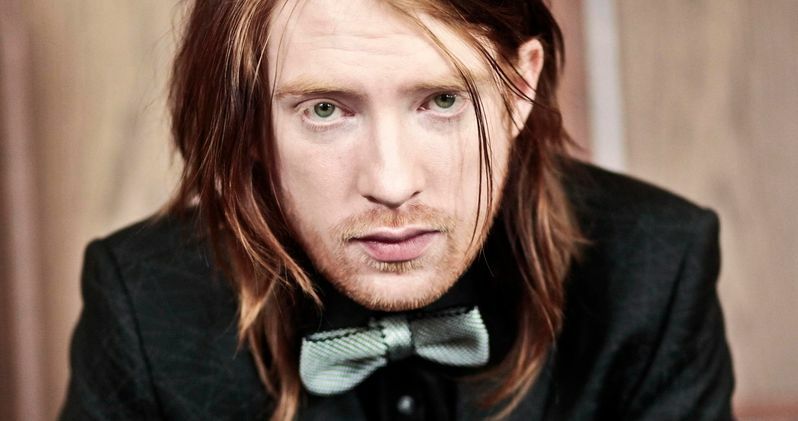 Many speculate that Domhnall Gleeson is playing Luke Skywalker's son in Star Wars: Episode VII. The actor teases that he won't be able to say anything about the role for two years. "I'm afraid if I say anything I'll give away the plot of the whole movie. I've got two years of this ahead of me. The movie is released in December 2015 -- that's the amount of time I have to keep my mouth shut!" While it's believed that he will in fact be revealed as the son of Luke Skywalker, some inside sources (with probably as much information as you and I) claim that he will be pulled to the Dark Side of the Force, and end up working alongside Adam Driver as a Sith apprentice.